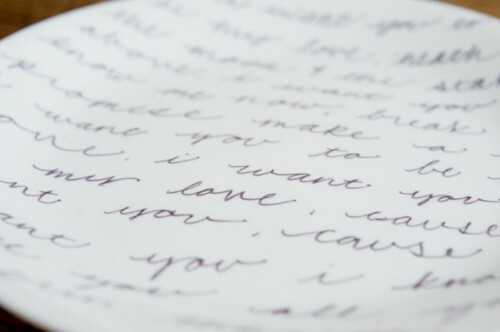 Reception plates decorated with wedding vows or the first dance song lyrics – what can be more romantic? 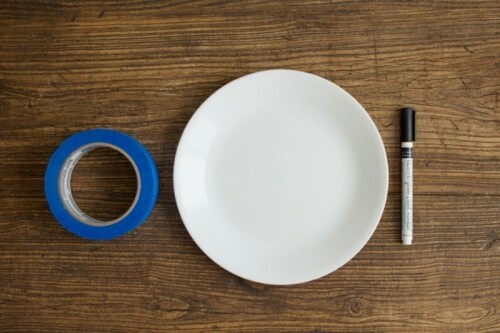 This DIY tutorial will help you to make ones. 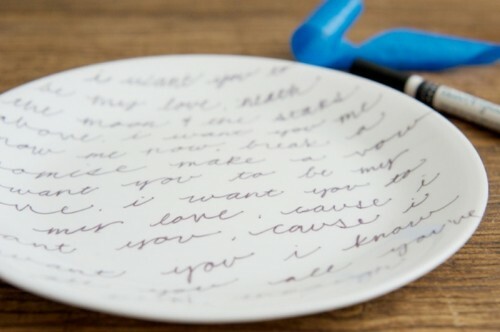 You’ll need: porcelain paint fine tip marker, painters’ tape, white charger plate, wedding vows or first dance song lyrics. 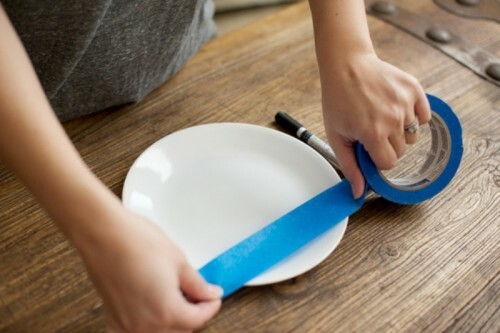 First lay a strip of painters tape near the top of your charger plate to make a straight line and press firmly to it to make sure it’s securely in place. 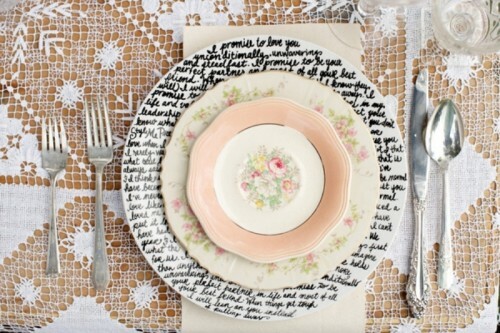 Then begin to pen the first line of vows onto your charger plate. 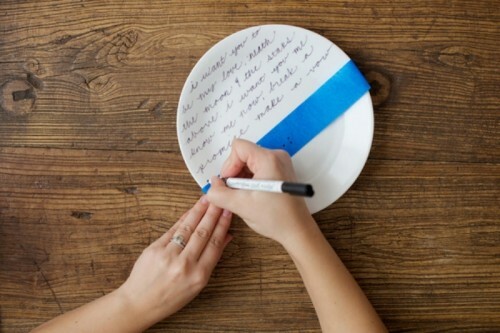 Move the tape down to the plate to keep your lines straight and continue penning till the bottom of the plate. As soon as you’re done, let the plate sit for 24 hours and then bake according to the directions on the marker packaging. Enjoy!